The concept of Alpin Chalet - To spend time amongst yourselves, whilst enjoying all the comforts within a cosy atmosphere. Who doesn't enjoy spending quality time with friends and family. No conventions, no dress code, no fixed mealtimes or predetermined menus. An ideal way to organise your own customised, annual get-together to go skiing, snowboarding, hiking and biking up in the mountains. Many friends and even close relatives live far away from each other. Opportunities for a get-together are seldom. You could, of course, invite everyone over to your place. Yes, but who has enough space and who wants to clean up the mess afterwards? The host/hostess often, to be quite frank, lives to regret sending out the invitations. If anyone at all within the circle of friends or family should happen to live somewhere large enough to accommodate up to 16 people. So why not simply go up into the mountains and rent an Alpin Chalet for yourselves, your friends and your family? summersports: A mountain summer reminiscent of a Heidi film. Salzburg hiking villages have classified their hiking trails. You can choose the right path to suit your respective level of physical fitness and preference. 'Blue' stands for easy-going pleasure hiking; 'red' markings are meant for those who prefer a more sporty challenge; 'black' trails are for the more experienced hikers and should only be tackled in the company of a certified mountain and ski guide. Your equipment from FUN & PRO in Flachau: Mountain bikes, trekking bikes, hiking shoes and Nordic walking sticks in all sizes including kid’s sizes.You arrive and all your required rental equipment is already tucked away nicely in the cellar. sumersports: Rafting, canyoning, paragliding,climbing,......everything is possible and we´ll be welcome to organize for you. Further information: The most beautiful elements of a cosy lodge combined with the open elements of a modern loft. A cosy and outfitted with lots of natural wood –open rooms and plenty of windows with scenic views, the snug living room – raised toward heaven, traditional handicraft –aesthetic in design yet with straightforward functionality, old handicrafts – applied in a colourful and cheery manner, down-to-earth, natural materials – ecologically conscious, timber floor boards and stone floors with Floor heating, central heating with a renewable energy, pellet stove featuring an integrated viewing. Window in the Alpin Loft - open and visible carpentry of the roof construction, larch wood furniture. The sauna area: Featuring a large, south facing terrace with a typical regional bench and sun-loungers. The Finnish sauna is outfitted with solid wood and features classical and bio sauna modes, loungers, sauna shower with gushing water and hose and a wash stand. The Alpin Chalet is a cut above the rest. Location and atmosphere raise the chalet to higher spheres. You are majestically seated above everyday life. Far away from the mainstream and out of the ordinary. The thrill of the ultimate change of scenery is guaranteed. Cosy nests to snuggle up in at night, an Alpin Atrium for those who like to play, grown-ups and kids alike, a private sauna with a view, a gastro kitchen for convivial, hobby chefs, an Alpin Loft as a high seat amidst the nature of the impressive mountains. You would like to have Catering? Breakfast and/or dinner are ready prepared and delivered in hot containers to the chalet. The eatingbar table in the kitchen is used to arrange buffet and there you can serve yourselves. The catering dishes is picked up with next delivery. The delivery and return is effected very unobtrusively - like brownies have been working. But you have to organize serving, dishes, cutlery, glasses and washing it up. • all in the centre of Ski Amadé, Bike Amadé, Hike Amadé, ... .
centrally located, immediately in the beginning of the village. Close to the ski lift stations: Achter Jet & Space Jet with ski schools & sports shops. Next to the cycle way, the sports area, the supermarket, the ski 6bus stop, a pizzeria with a bar. sunny location, open to the south, hillside situation above the ski station, 150 m to the cable car station Flachauwi - Zauchensee and to the ski bus stop -Shuttleberg Flachauwi- Kleinarl with the ABSOLUT PARK. Ski: Ski and snowboard schools: your Alpin-Chalet skiing-instructor all to yourselves, for your friends and family. With this offer from our partner ski school, the ski school contributes considerably toward realising the Alpin Chalet philosophy.You can reserve your own private skiing instructor for your week of winter sport in Ski Amadé. The instructor will pay you a visit on the evening of your arrival, so that you can discuss and plan the week: e.g. : The Sunday morning belongs to the advanced kids, so that they can get acquainted with the skiing region and get their ski legs, a ski safari to Zauchensee - Flachauwinkl - Kleinarl, ...or whatever takes your fancy will be organised for you and you can stay amongst yourselves. Whether one or two of the ladies decide to take private lessons, a few kids take a ski course or a dozen skiing fans let him guide them to conquer new climes up in the mountains. For only Euro 1.280,- your skiing instructor services from Sunday to Friday 4 h each day. In diesem Mietpreis für bis zu 16 Personen ist inklusive: Bett- und Toilettenwäsche, Strom, Heizung und Sauna, Müll, Garage/Carport. Extra zu bezahlen Ortstaxe Euro 2,- pro Person pro Nacht für erwachsene Personen über 15 Jahre. Kurzaufenthalte mit 2 oder 3 Nächten gerne auf Anfrage. Zusätzliche Schlafzimmer gerne auf Anfrage. 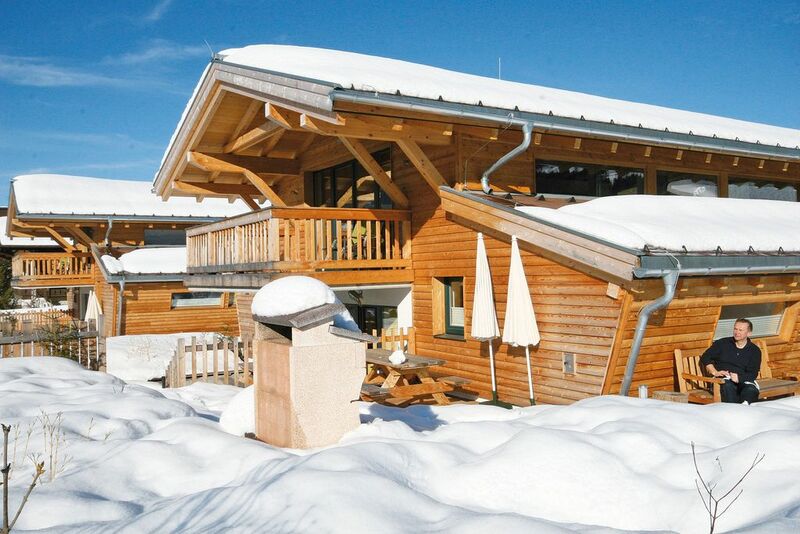 Preise pro Tag im zusätzlichen Extrazimmer belegt mit bis zu 2 personen : Euro 120,-,- im Winter / Euro 90,- im Sommer Optional buchbar: Frühstück oder Halbpension in das Alpin Chalet gecatert. Täglich verwöhnt und kulinarisch aufs Neue überrascht HP Euro 35,- pro Person und Tag. Gecatertes Abendmenü: Euro 28,- pro Person und Tag. Allerfeinstes Frühstücksbuffet: Euro 16,- pro Person und Tag. Familientarife für die Verpflegung: Kleinkinder bis 2 Jahre sind eingeladen. Von 2 bis 6 Jahre 50%, von 6 bis 15 Jahre 30 % Ermäßigung. Auf Anfrage und gegen Vorreservierung organisieren wir folgende Services: Einkaufsservice, tägliches Aufräumen, Zwischenreinigung in der Wochenmitte, Haushälterin, KochIn, Babysitter.